Wiley's Station sold in September, 1855, to twin brothers from Machias, Maine: Sanford and Cyrus Lyon. 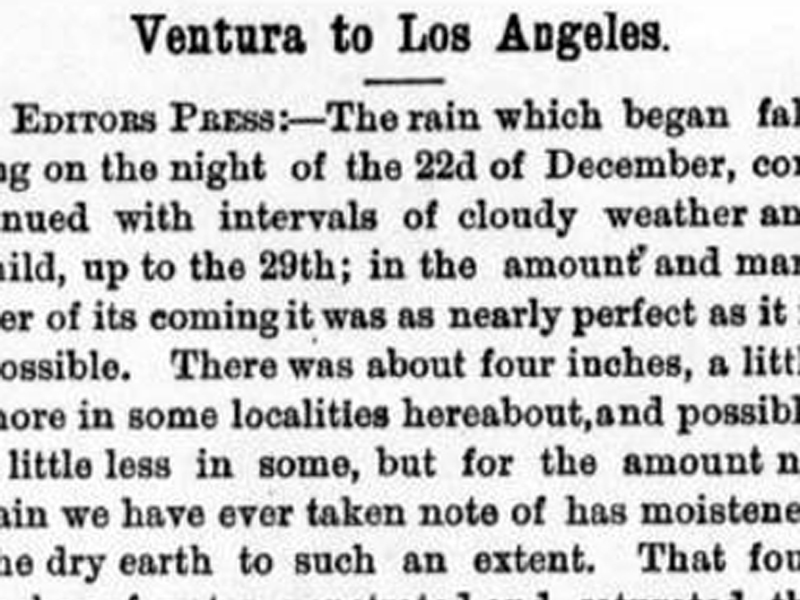 Born on November 20, 1831, the pair shipped out "around the horn" and arrived in Los Angeles during the Gold Rush. Sanford took a job as clerk for Alexander and Mellus, living in David W. Alexander's home, while brother Cyrus, a more adventurous spirit, became something of a gunman. Los Angeles was then a collection of squat adobe huts with a few substantial homes on the Plaza. Dogs lay in the dusty streets while giant rats prowled the back alleys, providing target practice for the citizens. When they tired of shooting strays they shot at each other. Killings were so common, the papers stopped reporting them. One day in 1853, no one was murdered — that was cause for banner headlines. The mayor of the town, Don Ygnacio del Valle, fed up with the lawlessness, formed the California Rangers. The Rangers were led by Major Horace Bell and three captains: William W. Jenkins, William Reader and Cyrus Lyon. Working like vigilantes, the Rangers soon bludgeoned or shot every "low element" with total disregard for constitutional rights or due process. Within two years the force was disbanded, as the reasons for their existence were either dead, incarcerated or moved on to a more permissive environment. Back in New York, John Butterfield resigned from the board of directors of Wells Fargo and Company and formed American Express as a rival concern. Butterfield then established the Butterfield Overland Stage, which set a land speed record of only twenty-one days from St. Louis to San Francisco. 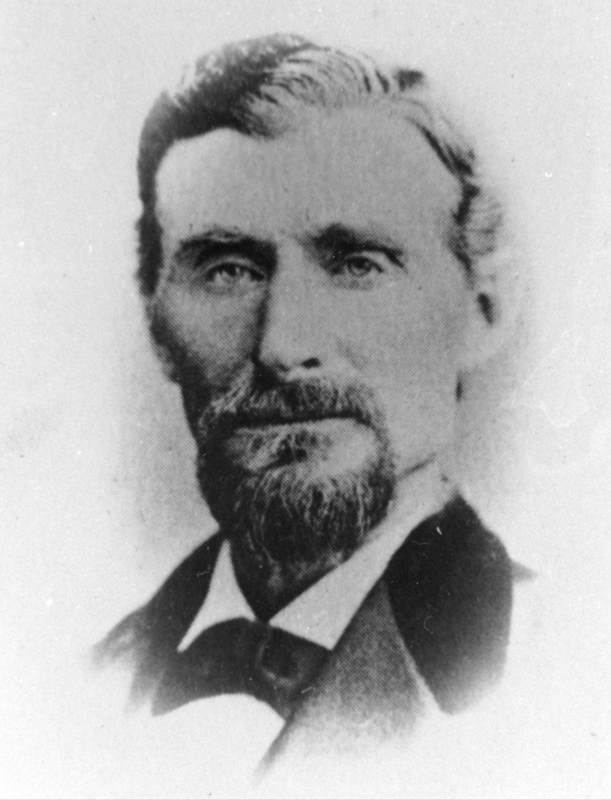 The Los Angeles Board of Supervisors appropriated eight thousand dollars to improve the road between San Fernando and Fort Tejon as a part of the Great Southern, or OxBow, route pioneered by Texas cattlemen. At 1:00 p.m. on October 7, 1858, the first of Mr. Butterfield's coaches rolled into Los Angeles, where they were greeted by a hundred-gun salute. The next day they struggled over Frémont's Pass, stopping at Lyon's Station to change horses and get a warm meal for their passengers. 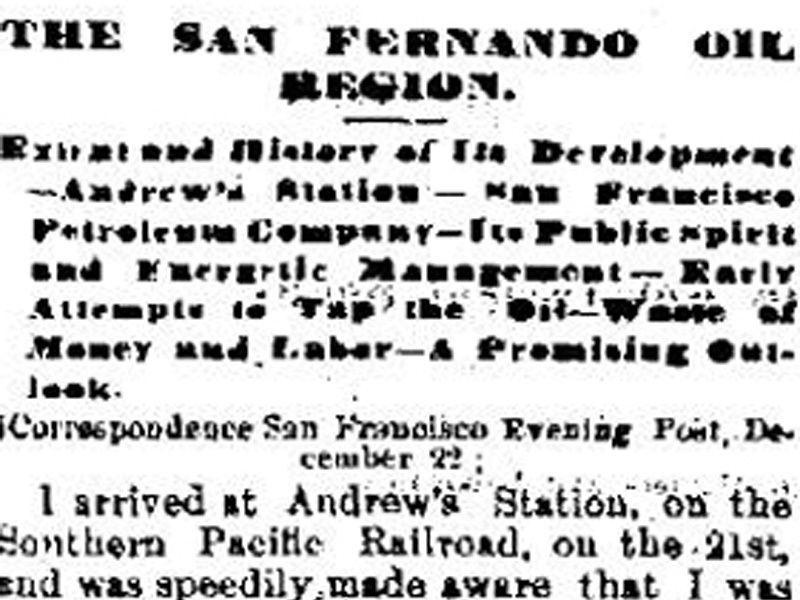 Then they rolled up San Francisquito Canyon, bound for San Francisco. The Lyon brothers played host to Overland stages for only three years until Confederate soldiers forever ended the saga of Mr. Butterfield's company. Lyon's Station, operated chiefly by Sanford, continued to grow. By 1868 it consisted of a large-frame building housing a store, post office, stage depot and tavern. Behind that the family cottage was hidden among stately oaks, while up the hill were some board-and-batten residences for twenty of Lyon's employees and their families. There a cemetery was established, where such names as Rivera, Whitney and even Lyon were eventually inscribed into headstones. Across the road that would one day be known as Sierra Highway loomed a red, New England-style barn, surrounded by corrals and sheep pens, with cattle roaming free over the steep hills. Today the place goes by the name of Eternal Valley.